The London Evening Standard is claiming it has turned its fortunes around since becoming a free newspaper owned by Evgeny Lebedev, from making an annual loss of £30m in 2009 to becoming a profitable operation in September 2012. 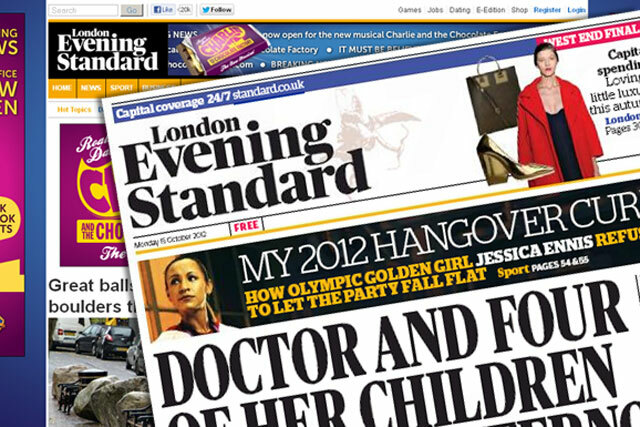 Andrew Mullins, managing director of the Standard, has pre-empted owner Independent Print's accounts for 2012 to confirm the free London paper made just over £1m in profit in the year to 30 September 2012. The figure is still subject to auditing by Deloitte, and will not be published until June 2013, but Mullins is confident further "modest growth", described as "anywhere between £1m and £5m" is now a credible goal for next year. However, the company is hoping news of the dramatic turnaround of the media operation will help underline the strength of the Evening Standard's bid to run the local TV licence for London, one of five currently being deliberated by Ofcom. Mullins told Media Week: "The fact that this has been done in a recession is pretty remarkable. It has not been an easy gig, we've used every trick in the book to make it happen and growth from here on in will be modest without the addition of the TV licence." The decision to drop the 50p cover price of the Evening Standard was first mooted by Media Week in an interview with Alexander Lebedev in July 2009. The move boosted the newspaper's circulation from 100,000 to 700,000 copies. After its first year as a free title, the Standard reported a loss of £16.9m, this was reduced to £7m in year two (September 2011). Mullins was keen to stress the performance has not been driven by swathes of job losses within the publishing group, but rather a series of smarter operational decisions. For example, the Standard used to be carried in vans to more than 9,000 distribution points throughout the capital. This was reduced to just 400. The decision to produce fewer daily editions, from three to, generally, just one, is also said to have had a dramatic impact on production and distribution costs. In addition, over the past three years Mullins concedes there has been a "nominal amount of consolidation in editorial" and "a little bit of shaving on the commercial side". Mullins said: "We have proved we can deliver a really tough brief for London and would be able to deliver an even more cost effective audience (for advertisers) if given the opportunity to create commercial packages combining print and television." London Live, the bid from the London Evening Standard, proposes to broadcast its news and current affairs-led service with 100% London content for an initial 18 hours a day alongside accompanying IPTV streams for each of the 33 London boroughs. Lebedev (Evgeny) is said to be "right behind the bid" for the Standard to secure the licence, which is expected to have a catchment area covering up to 4.5 million households. Mullins said: "We already have content and news right across any areas of interest for the TV channel and our ability to engage an audience is already proved." He added that there was a "constructive circle" between the commercial conversations already taking place with the Standard and the ability to extend those with TV. Drawing on more than 15 years experience as a client, first as a marketer with Unilever and then Lever Brothers and Diageo, Mullins admitted: "If we’re lucky enough to win the TV contract in London it will open us up to a completely new client base as well. "Everyone wants to get hold of Londoners, certain clients will always think TV first, and currently the costs of using TV to reach people in London, via ITV, is extortionate." Under the terms of the proposal, local ad sales will be managed by the Standard’s commercial team, led by group commercial director Jon O’Donnell, while national ad sales will be awarded to a third party. The London Evening Standard will guarantee £5m of media space each year to support London Live and the channel will be listed within the Standard TV pages, which London Live estimates would have a market value of £3.1m. A decision on who is to be awarded London's new TV licence is expected to be made within the next eight weeks. Think BR: Will we watch local TV? Who are the bidders for London's local TV licence?